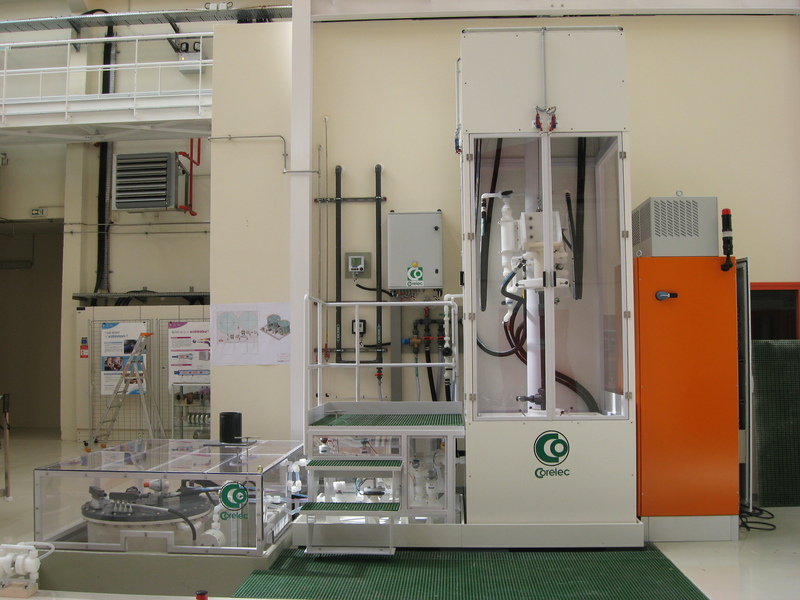 Chemical and electrochemical treatment of elliptical cavities (maximum cavity height: 1.8 m and maximum mass: 200 kg). 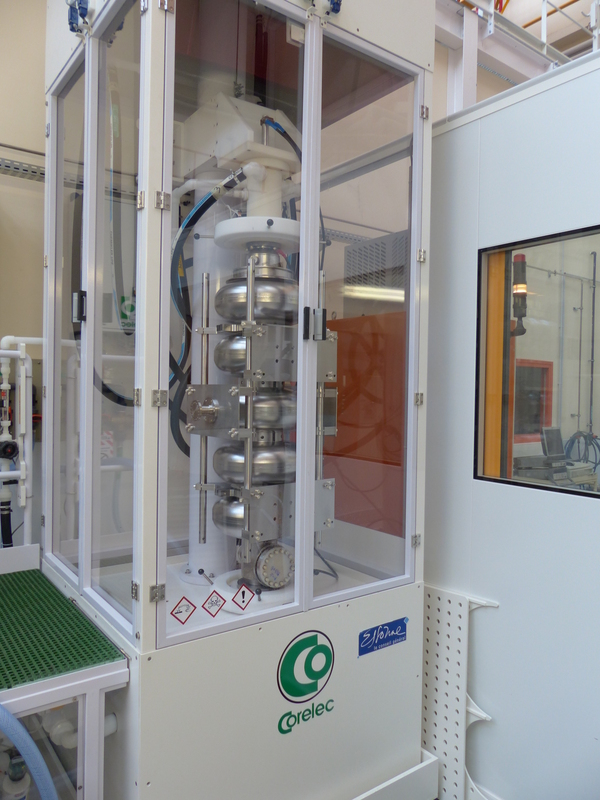 This station allows one to perform chemical or electrochemical polishing of the internal surface of niobium cavities. Cavities are handled by a crane with specific tooling for each cavity. The station is also equipped with a table for horizontally inserting the cathodes. Control of the acid temperature (via an 18 kW power cooling unit connected to a heat exchanger: 156 m PFA pipe) to minimize the risks associated with exothermic reactions (the working temperature is below 20 °). Additional facilities: acid storage room, gas extractor-washer which ensures the ventilation of workstations, acid liquid waste collection and treatment system, pure and ultrapure water treatment plant (resistivity : 17.7-17.9 MΩ.cm). R&D experiments on vertical electropolishing. Rinsing with ultrapure water (resistivity: 17.9 MΩ.cm) and extraction of acids and polluted water.